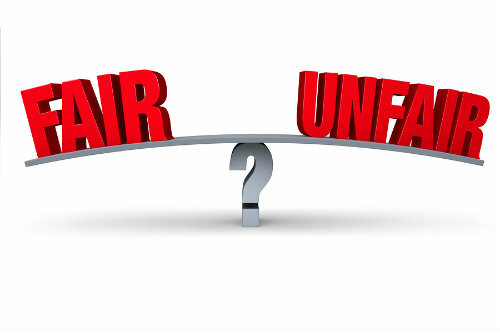 Is The Credit Score Industry Fair to Consumers? 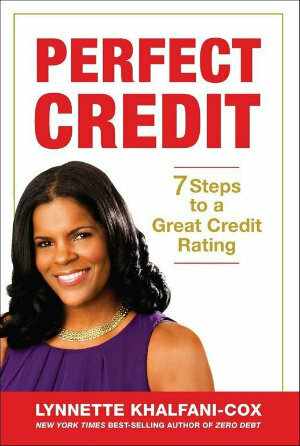 In my latest book, Perfect Credit, I explained that the credit score industry prefers to work together—without you whenever possible. I’m not saying that they have no need for you or that they don’t want to have some dealings with you. After all, consumers provide valuable feedback and constitute a revenue source. And companies in the credit industry realize that, if they don’t address the consumer, their competitors will. All in all, however, many folks in the credit industry would be quite happy if you just went away and not made any fuss about your credit. Why do I say that the industry sometimes considers you a thorn in its side? First of all, you have to realize that credit-scoring firms had to be dragged into having any direct interaction with consumers. The credit industry only started giving consumers a peek at their credit scores in 2001, despite the fact that the first commercial credit scores were created by the founders of Fair Isaac more than 50 years ago in 1958. It wasn’t until the 1970s, however, when credit-card usage grew tremendously, that banks began widespread use of credit scores to reduce card delinquencies. A couple decades later, in 1989, Fair Isaac released the first general-purpose credit score used to predict a consumer’s overall riskiness to a lender. It was only at that point that any serious consideration was given to educating the consumer about credit scores. Until then credit-scoring firms like Fair Isaac, as well as the credit bureaus themselves, had mainly focused all their attention on lenders and businesses that needed to obtain credit information in order to manage risk. They were playing together nicely, thank you very much, until consumers and consumer advocates started demanding to know the exact same information to which lenders were privy. More recently, credit industry players have shown other examples of how they can work together even as they compete with one another. In 2006, the “Big Three” credit bureaus – Equifax, Experian and TransUnion jointly developed their own credit score called the VantageScore. Doing so raised the ire of Fair Isaac, which sued and alleged anti-trust violations. Fair Isaac, which makes the FICO score, lost that lawsuit and the VantageScore is still being marketed – as it should be. Frankly, I don’t have a big problem with the credit bureaus getting together. The point of their creating a joint score was to minimize variation in people’s credit scores. You see, credit scores are based on the underlying information contained in each of your credit files. Thus, if Equifax, Experian, and TransUnion have different data about you, naturally your scores based on those three reports will vary. This is often exactly what people find. In getting together, the Big Three tried to come up with a statistical model to lessen variation among the bureaus. So all in all, I don’t fault their efforts, but I do use it to point out that the bureaus, while competitors, are willing to work together. The primary point of contact they have with you as an individual comes when you order a credit report, purchase a product, or dispute a mistake in your file. In the last scenario you have to fill out a dispute-resolution form, online or in the mail. And once you dispute something, what do the credit bureaus do next? Do they come back to you and ask you to prove what you said or to verify it independently? No, they really don’t. They may allow you to send in supporting documentation to bolster your claims, but essentially the bureaus go to your creditors as the ultimate arbiters of the truth. They basically go to the lenders, banks, collection agencies, or whatever entities reported you, and the credit bureaus say, “This individual disputes the information you provided. Do you agree or disagree?” (I’m summarizing, of course, but this is the gist of what happens). And based on what that lender or creditor or bill collector says, their response determines what goes into your credit report. Either a creditor confirms the information, and it stays on your report, or the creditor can’t verify what was initially reported, and the information is dropped from your file. That’s a lot of power for the creditor to hold. And I have to question whether creditors are right 100% of the time. That doesn’t seem fair, logical or even remotely possible. Nevertheless, what they say goes. This is standard operating procedure. The dispute-resolution process is legal, and it’s yet another example of how the entire industry works together, maximizing the flow of information among themselves and minimizing interactions with consumers. Perhaps that’s why less than 1% of credit report disputes are changed. So if you ever feel that you’re not exactly receiving full disclosure about some aspect of your credit report or scores, just remember that the system was designed that way. The credit industry (not all players, but certainly many) wants to maintain control over and access to credit information for risk-management and profit motives. They don’t want you to have the same insights and information that they do, nor do they want you to quash their creative maneuvering. Again, in fairness to the credit industry, I don’t want to paint all the players with one broad brush. Clearly some exceptions to the rule exist. Indeed, a select number of companies are bolstering their efforts to provide credit education for consumers, as opposed to just selling the public loan products, credit reports, credit scores, and credit-related services. Overall, though, I believe that the industry can do a much better job of communicating with consumers, advocating financial literacy, and giving the public more insight into the complex world of credit management and credit scoring.